Your vehicle’s transmission repair should only be handled by the most qualified mechanics who perform the most effective vehicle maintenance and transmission services. At USA Automotive, our team of highly-trained ASE certified technicians perform quality transmission services in the 27604 area of Raleigh, NC. If you notice that your vehicle is slow to accelerate, it may be a sign that your transmission is slipping out of gear. Don’t wait until it’s too late; stop by our shop to see our experts as soon as possible. Transmissions are unique vehicle components that should never be handled by an amateur. There are many professional auto repair shops that will pass on transmission services, because of their complex nature. When it comes to your vehicle’s transmission, you don’t want to leave anything to chance. Some automotive shops will feel their way through the transmissions or recommend an unnecessary rebuild or transmission replacement. and although many do-it-yourselfers enjoy performing their own routine maintenance services, transmission repairs are some of the most difficult auto services. Thus, transmission repair should only be left to certified automotive professionals. Why? As your trusted auto technicians, we have the tools, resources, and certified training to back all of the work that we do. If you do a little digging, you’ll discover that many automotive repair shops are simply not equipped or trained to provide quality transmission repairs. We highly recommend that vehicle owners conduct their own due diligence to be aware of the auto shops that are qualified. At USA Automotive, we have a team of transmission repair specialists that can meet any of your transmission service needs. Visit our auto shop in the 27604 area of Raleigh, NC for all of your routine transmission services, including fluid flushes, and filter changes. 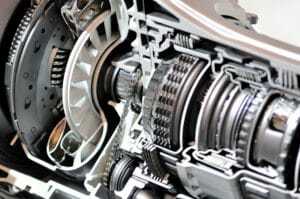 As the local transmission service expert serving the 27604 area of Raleigh, NC – USA Automotive can pinpoint any potential transmission problems in your vehicle. More often than not, transmission issues are overlooked and can lead to expensive repair down the road. Allow our team of experienced and trustworthy transmission specialists to monitor your vehicle’s transmission and keep you ahead of any repair needs that may occur. We are always careful to use the correct transmission fluid for your vehicle, as well as perform the right auto repair services. It takes a highly trained and skilled team to identify what your transmission needs and correct it. 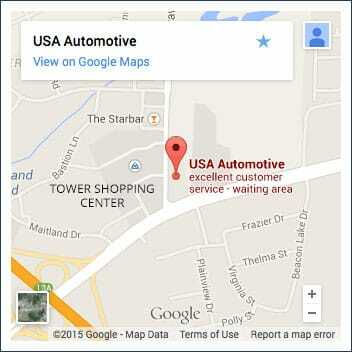 Our auto technicians provide the correct diagnosis the first time, saving you time and money. You can trust our team to know that you’re receiving the best transmission service possible. If you notice your transmission is malfunctioning, bring your car to us immediately. Transmissions that slip out of gear or fail to accelerate properly can cause accidents. Delaying service or trying to perform transmission repairs on your own is dangerous and may cause more damage. Bring your vehicle to us, and drive away with the assurance that your transmission has been serviced perfectly. We promise quality performance from your vehicle for 3 years or 36,000 miles. Just give us a call at 919-249-5295 and schedule the time that works best for you. For your convenience, we also offer online appointments via our online scheduling system. We’re looking forward to serving you!